As one of the largest multinational retail corporations in the United States, Walmart’s AP business needs and priorities can be complex and numerous. But Mike Lamb, LPC, vice president of asset protection and safety at Walmart US, knows that the best approach to managing asset protection at Walmart had to be one of simplifying that complexity, identifying opportunities, and finding solutions to the biggest problems. 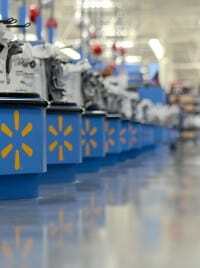 One size does not fit all in any retail environment, and it certainly didn’t for Walmart. First, we took a risk-tiered approach to our stores, realizing that some stores were more opportunistic with more risks than others. We looked at the potential tools that we could provide to the organization that would allow them to make it easier to get it right. Among those tools was a shrink dashboard, which provided diagnostics, particularly around inventory management. This was intended to identify more process-related shrink opportunities and really point the stores to the areas of the business that they needed to address to effectively manage shrink. We got serious about training and education for the asset protection teams. We reinvigorated our mid-level AP training through our “MAPM Academies,” bringing those men and women in on a regular basis to train them on the expectations of the role. We realized that we had to reach our team using various forms of communication, which led to the creation of the LEAP digital newsletter. LEAP stands for Leadership and Excellence in Asset Protection—an outstanding tool that we developed in partnership with LP Magazine and LPM Media Group. We also took advantage of satellite TV. Walmart has the capabilities of transmitting a broadcast to all our stores, and we set up a broadcast we call Same Page. Once a month we engage all the men and women in asset protection around the most relevant topics in the business, with half of that broadcast dedicated to an open-line question-and-answer session. This helps ensure that the folks in the field know who we are and what we were doing to support them while sending a strong message that they have an open line of communication to us. We give anyone and everyone a chance to speak their minds on this broadcast while emphasizing the need to drive execution and actions in the store. Paul Jaeckle, LPC, senior director of asset protection strategy and operations; Tom Arigi, senior director of asset protection; and Gary Smith, LPC, senior director of asset protection, all shared valuable viewpoints in the conversation. [EDITOR’S NOTE: Just prior to publication, Jaeckle accepted a new position as vice president of asset protection at Meijer.] Read the full article at “Making It Easier to Get it Right,” or check out the other articles in the March–April 2017 issue of LP Magazine. Not yet subscribed? No problem – register here for free.